The nose is the central feature of the face, and has a dramatic impact upon your overall facial appearance. An overlarge or unattractive nose structure can be distracting to others and make you feel less confident in your appearance. Some people are born with a large nose, a bump on the bridge of the nose, or have an asymmetrical nose. As we age, the nose can appear longer, droopy, or more bulbous at the tip. A rhinoplasty, typically called a “nose job,” is the procedure that repairs aesthetic or functional problems in the nose. For those seeking conceivably the best results in rhinoplasty Utah has to offer, our accomplished plastic surgeon at The Rose Clinic in Provo, Utah can help you resolve irregularities and restore harmony and balance to your face. Rhinoplasty specialist, Dr. Kevin Rose, has extensive experience reshaping unattractive noses, and performing nose reconstruction after an injury or trauma. Those who are living with an unattractive, overlarge, or misshapen nose know the embarrassment of feeling that others are distracted when they look at your face. It can feel as if people focus on your nose, or do not appreciate your other, more attractive facial features. You may feel that your nose isn’t proportional or doesn’t “fit” with the rest of your face. Many complaints include a wide nasal tip, wide or excessively large nostrils, a “boxy” nose, bulbous or hanging tip, or a prominent bump on the bridge of the nose. Some patients suffer from breathing problems or sleep apnea related to the internal nose structure. When the nose structure must be repaired for health reasons, it is possible that health insurance will help to pay for the procedure. Your insecurities or structural problems with your nose can be resolved with the help of Dr. Rose and his staff at The Rose Clinic who deliver amongst the top results in rhinoplasty Utah has to offer. Our skilled plastic surgeon in Utah can make small, discreet incisions within the nose structure, or at the base of the nose for minimal scarring. Once working within the nose area, our plastic surgeon will manipulate the cartilage, bone, or treat a deviated septum to resolve breathing issues. You will be put under anesthesia so the procedure is painless for you. Our doctor will make incisions to access the internal structures of the nose. There are two types of incisions: endonasal, which are only inside the nose, and open, which are inside and outside the nose between the nostrils. Using special instruments, Dr. Rose will manipulate the cartilage and bone to create the nose shape and size that is in balance with your other features. The tissues and bone in the nose can be reduced or removed to improve the size, length, or general shape. A tip graft can be created if the doctor needs to modify the shape of the tip of the nose. Grafts are usually constructed of cartilage or tissue fillers. Once your nose is modified to the desired shape, Dr. Rose will close the incisions. You will then rest under observation. The surgery usually takes between one and three hours depending on the complexity. The professional staff at The Rose Clinic will provide you with written aftercare instructions and schedule a follow-up appointment monitor your healing and recovery. After the procedure is complete, you will have a few weeks of recovery time before you will be able to resume your normal activities. The most common side effects are treatable with pain medication and quickly subside with time. Expect some swelling and bruising. You will have bandages and possibly a stint for support, and you must be careful to avoid bumping the nose area while dressing or during other daily activities. Follow all aftercare instructions carefully and return to The Rose Clinic for your follow-up appointment so we can check your nose area and ensure as is going as it should. Our patients report improved nasal function as well as a surge in self-confidence and happiness with a more balanced nose that makes the entire face appear more attractive and appealing. An artistic eye is important in a nose job; the plastic surgeon should be able to create a nose shape and size that is in perfect harmony with the other facial features, looks natural, and is the most balanced shape and size. Dr. Kevin Rose is a true artist, and highly-regarded for his ability to create beautiful results in plastic surgery, including some of the top results in rhinoplasty Salt Lake City has to offer. Dr. Kevin Rose operates his plastic surgery center in the Salt Lake City area. He uses state-of-the-art technology to achieve high quality results while keeping the comfort and health of his patients as priorities. His creative eye and artistic abilities, as well as high-level surgical skills make him one of the most sought-after plastic surgeons for a rhinoplasty Salt Lake City has to offer. If you want a more flattering, appealing nose and have been considering a rhinoplasty procedure, schedule an initial consultation with our friendly staff to find out more. During surgery, you will be under general anesthesia, and although rare, there is a small chance that you could experience an adverse reaction to the anesthesia. It is common to encounter swelling and bruising around the area as delicate bones and soft tissue have been adjusted. Any pain can be managed with prescription medication, so you are comfortable in the early stages. Under the care of Dr. Rose, the risk of complications is rare. Rhinoplasty surgery will typically last one to two hours, possibly longer, depending on your individual circumstances and the reshaping needed in your case. What Kind of Anesthesia will be Used with Rhinoplasty? A rhinoplasty procedure will be completed the same day using intravenous sedation or general anesthesia. Can a Rhinoplasty Improve Breathing? For many, rhinoplasty is selected purely for cosmetic purposes to improve the overall facial appearance. But beauty may not be your concern. Rhinoplasty has also been recommended for corrective reasons and can repair structural issues such as a deviated septum. In this instance, it would improve breathing problems, chronic stuffiness, or excessive snoring. There are two common types of rhinoplasty we perform at our Salt Lake City clinic, open and closed. Open rhinoplasty is a bit more extensive as it allows more visual access to the bone structure by opening up the area for correction. The incision in an open rhinoplasty is placed on the columella, the strip of cartilage between the nostrils, which will be almost invisible once healed. Closed rhinoplasty is performed with incisions within the nose, appropriate for minor changes, with no visible scars. 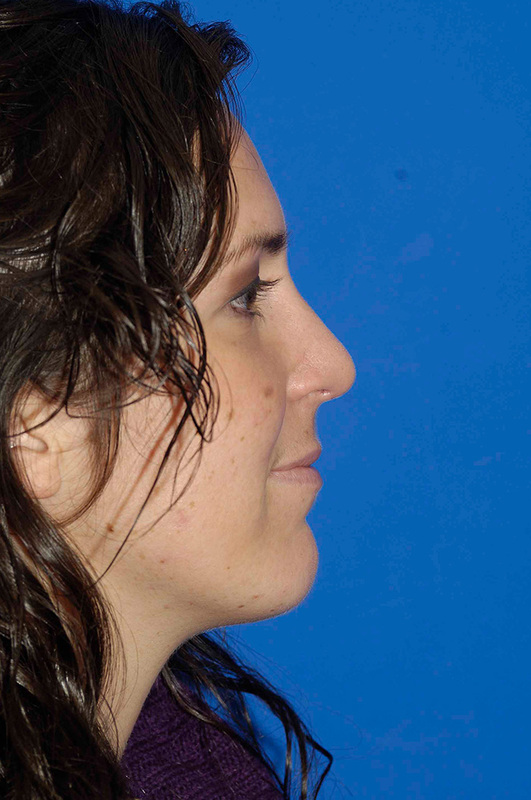 Can a Botched Rhinoplasty Be Corrected? At our plastic surgery clinic in Salt Lake City, we often are asked to correct inferior results of a rhinoplasty surgery. Dr. Rose is one of the most experienced surgeons in the area and has had great success in correcting rhinoplasty surgeries that led to results that were unsatisfactory, such as too large, too small, or collapsed nose structure. 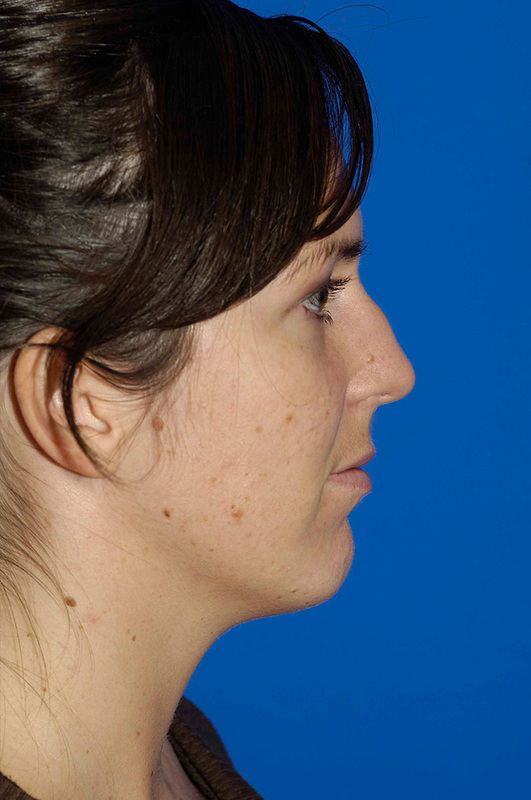 Revision rhinoplasty can correct these problems and create the look you envisioned. With a closed rhinoplasty procedure, the incision is made on the inside of your nose, so therefore, there will be no visible scarring. There is a potential for visible scarring with open rhinoplasty, as the incision is created on the columella. However, with proper skill and technique, the incision can be closed in a way that when it heals, it is virtually undetectable. Each procedure is different because of the needs of the patient. It is recommended that you take at least a week to ten days off to recover following surgery. A splint will be removed after seven days. Usually, after the second week, the swelling has subsided enough that many won’t notice that you’ve had surgery. Changes to the appearance of your nose will continue to improve over time as the swelling dissipates, but the full result will require about one year – although the final changes are very minor and subtle, and your nose will look great far before that time. Please view our beautiful before and after gallery to see for yourself the smooth and clear results you can expect to achieve from among the best Rhinoplasty Salt Lake City Utah at The Rose Clinic.